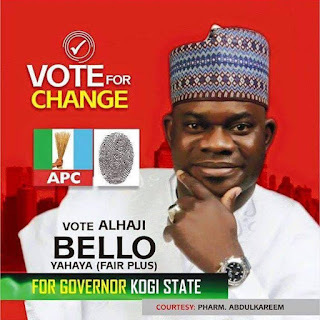 After extensive consultations, the All Progressives Congress (APC) yesterday submitted the name of Yahaya Bello as the party’s new candidate for Kogi governorship supplementary poll. Bello replaces Prince Abubakar Audu, who died last weekend after leading the poll with 41,000. It was also learnt that the APC has retained Hon. James Abiodun Faleke as the party’s deputy governorship candidate. Mohammed Audu, the son of the late governorship candidate, was dumped by the party because the party felt that fielding him might vitiate the entire governorship poll in the state. 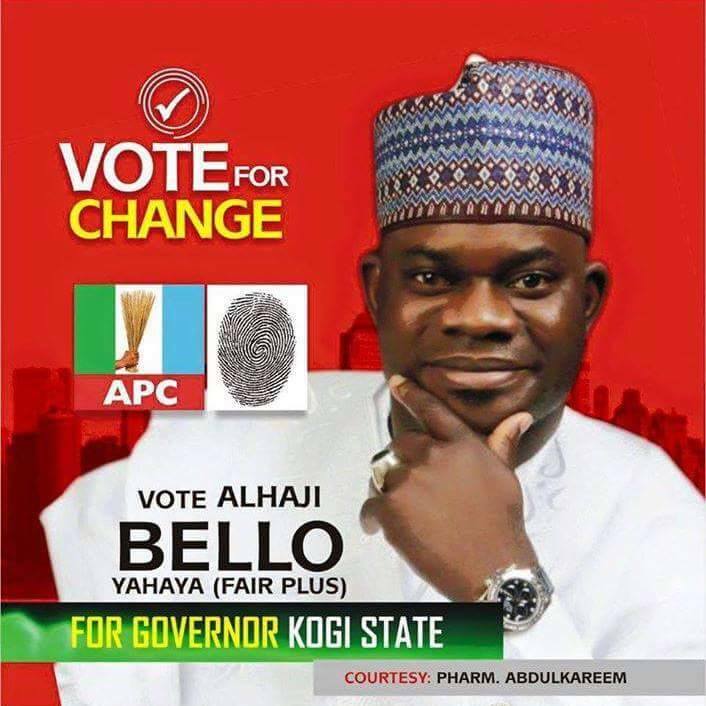 But the people of Kogi West were mounting pressure on Faleke yesterday not to accept the nomination of Bello. Although they asked Faleke to withdraw from the race, the deputy governorship candidate was yet to make up his mind on the next step at press time. Investigation by our correspondent revealed that APC leaders, with the backing of some forces in the Presidency, opted for Bello because he came second in the party’s primaries behind Audu. It was also gathered that the APC leaders felt there was no way Mohammed Audu could be fielded as a compromise candidate since he was not a candidate in the primaries. A top source in APC said: "Our leaders met and after consultations reached a conclusion on the choice of Yahaya Bello from Kogi Central as the party’s governorship candidate to substitute the late Prince Abubakar Audu. "The leaders arrived at the conclusion because Bello was second to Audu at the validly conducted governorship primaries of the party. Instead of running into crisis with fresh primaries, the party opted to dust up the result of the previous one which was witnessed by INEC. Asked of other factors behind the choice of Bello, the top APC leader said: "Our leaders bought into the idea that Faleke is strange to the politics of the state, having had most of his political career in Lagos. They felt it is better for him to learn the ropes in the state before becoming a governor. "They also argued that the choice of Bello will ensure power shift in the state and since the Ebiras were behind Audu, it won’t be difficult to foster understanding between Kogi East and Kogi Central Senatorial Districts. "Do not forget that Kogi East had already produced the minister from the state. "Another important factor is that some of the 91 polling units where elections were cancelled are in Kogi Central, and it will be easier to mobilize the electorate in the district to get the required votes to defeat the PDP candidate, Governor Idris Wada. "There was also some conspiracy behind the refusal of the ticket for Faleke. Some presidency forces stamped their feet that he must not be allowed to step into Audu’s shoes because of internal power struggles in APC. On the dumping of Mohammed Audu, the source said: "Our leaders were guided by Section 141 of the Electoral Act. If we choose him, the entire election will be voided. "The section says: ‘An election tribunal or court shall not under any circumstance declare any person a winner at an election in which such a person has not fully participated in all the stages of such election. As press time, there was pressure on Faleke by the people of Kogi West to opt out of the race. A different source said: "There are many options open to Faleke but the people of Kogi West want him to withdraw from the race. If Yahaya Bello gets the ticket, he might be reduced to a dummy deputy governor.